It's one of the many problems women face throughout their life, but "the change" becomes easier to manage when you have a qualified medical professional on your side. As a Board Certified specialist in gynecology, Syllette King, MD from Orlando, Florida is uniquely qualified to deal with a variety of women's issues including menopause. All women must face this sign of growing older, but it doesn't have to be uncomfortable. Put simply, menopause is the end of menstrual cycles and fertility. From their teen years, women experience a monthly revelation that reminds them that having a baby is a possibility until they reach a certain stage in life and the body turns off that tap. The cause of menopause is a decline in reproductive hormones that actually starts around age 30. By the time a woman reaches 40, she might notice changes in her periods. They can get longer and heavier or shorter and lighter. Around age 51, they stop completely or become sporadic. Medically, menopause is defined as 12 concurrent months without a period. It's a natural biological process, but for some women, the side effects that come with it interfere with their quality life. Some patients experience no real symptoms beyond the end of periods, but others have problems that greatly affect their quality of life. Perimenopause is a term people often hear in conjunction with menopause. It is the stage right before menopause when periods become irregular or a few symptoms appear. It generally starts one or two years prior to the end of menstruation. It's important to know that pregnancy is still possible during perimenopause. 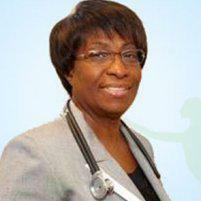 Dr. King recommends that sexually active women continue to protect themselves against pregnancy until menopause. One full year without periods indicates menopause. Technically, menopause is a natural process, so it's not something Dr. King tries to stop from happening. She can, however, help women struggling with the uncomfortable symptoms of menopause, such as hot flashes and mood swings. She assesses each patient to determine what treatment options might help. Hormone therapy, for example, is a possibility for some women. Vaginal estrogen is another, especially for the patient experiencing vaginal dryness.